An opportunity to explore more on less. Travel solo! Or with friends whole point of this tour is that you don’t have to do much planning all the essentials have already been taken care for you. Travelling with like minded people in Backpacking Style. It is the most fun, safe and budget friendly way to travel. So are you ready to Escape, Explore, Dicover! Life? Backpackers Brace yourself. You’re about to enter one of the most divine blindingly colorful, unrelentingly chaotic and unapologetically indiscreet places on earth. Varanasi Also known as Banaras or Kashi, A city, as old as history itself considered as one of the oldest continuously inhabited city in the world. The dimly lit Ghats and Artis on them, the serene flow of the river Ganga & peaceful boat ride on them , the calls of ‘har-har Mahadev‘ in the city lanes & mouthwatering street food on them , From burning Ghats to Medieval temples, Museums to Universities , Hinduism to Buddhism, The Hippes to Aghori Saddhus everything makes Varanasi, the most vibrant and timeless city of India. 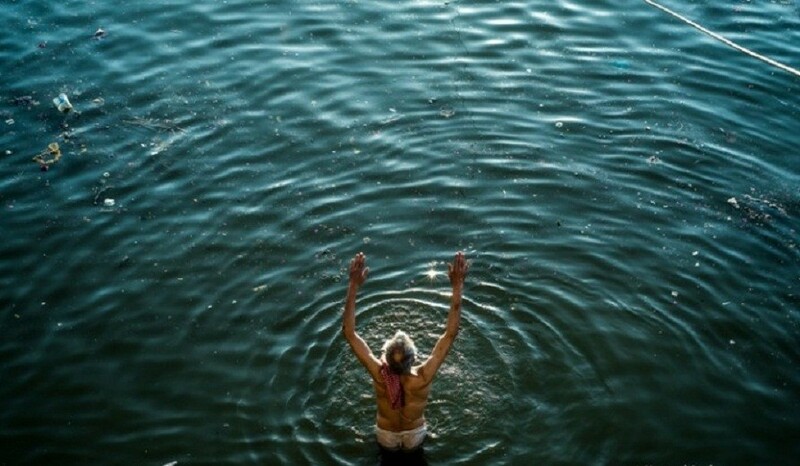 Varanasi is certainly not for the faint-hearted. 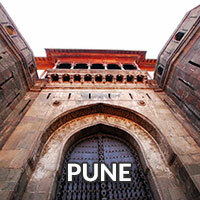 It takes either thirst for travel adventure or passion for the divine to dive headlong into this city. the experience is in watching the spectacle of life and death on the river and meandering through the alleys of the old city offering photographer & travellers a unique perspective to the soul of India. Reaching Varanasi railway station we head out straight to old city through the hustling lanes in a tuk-tuk . 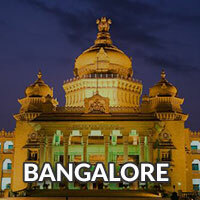 A stay at super hip centrally located backpackers friendly hostel is arranged for us. (Don’t you just love bunkbeds!) Rest for while and we are ready to get celebrate Ganga as we walk along banks of holy River. A continuous stretch of 87 ghats are waiting for you However around 25 are iconic and worth some time we will cover few of them today. we will begin our Ghat hoping from Dasawamedh Ghat it is the heart of the action and the top attraction in Varanasi. 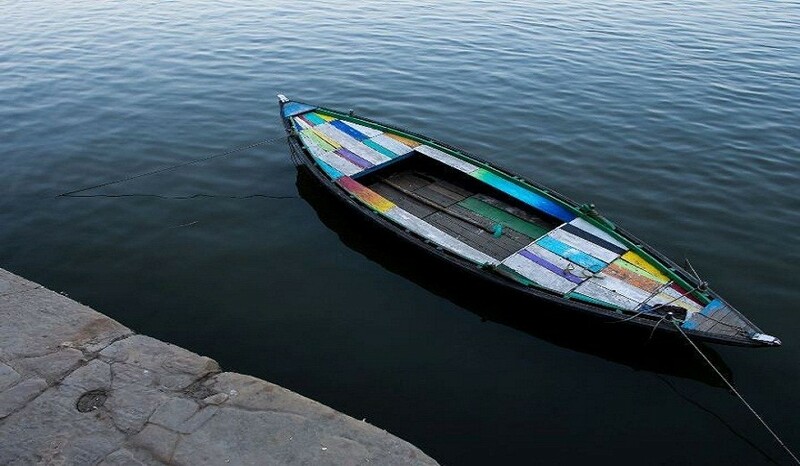 One of the oldest and holiest Varanasi ghats, A touristy thing to do is take a boat ride along the river highly recommend to A walk along the ghats is more fascinating experience as you pass through chilling Harishchandra Ghat (Burning or cremation Ghat) , Darbhanga Ghat is a favorite! As It’s one of the most visually appealing, and architecturally impressive eventually eventually Assi Ghat where the Ganges River meets the river Assi Ghat at the extreme southern end of the main ghats, hence it’s not as crowded , scenic and peaceful. By evening We return back in Dasaswamedh Ghat either by boat or walk to attend the renowned The Maha Ganga Aarti (7pm) from the Steps or in the Boats. Over night at Hostel. Today early Morning 5.30-6.00 Get your cameras, taste buds and walking shoes ready…No siesta as you head right out ! Sunrise through Cold foggy morning are waiting for you. (Early morning boat ride highly recommend) Post breakfast We conquer north stretch of main Ghats starting with Man Mandir Ghat which is worth checking out for its exquisite Rajput architecture. Built in 1600., the observatory The astronomical instruments are still in good condition and it’s possible to take a look at them. (Head up to the spacious terrace for fabulous views of both banks ) Next Manikarnika Ghat, the main and bigger burning ghat compared to Harishchandra Ghat. Just beyond it Panchganga Ghat, as its name indicates, is where five rivers are supposed to meet. Dominating the ghat is Aurangzeb’s smaller mosque, also known as the Alamgir Mosque. Gai Ghat has a figure of a cow made of stone.. Nepali Hindu Temple, (near Lalita Ghat). A small golden temple, built in Nepali architecture Afternoon we explore food in back alleys of ghats where you get everything and we mean everything from chat bhandar to lassi, Italian pizza to Mediterranean cuisine ! Head back to hostel and relax. Being the most venerated pilgrim place in Hindu religion, Varanasi is said to be a museum of temples. Also called the city of temples, Varanasi is home to about 2,000 temples. 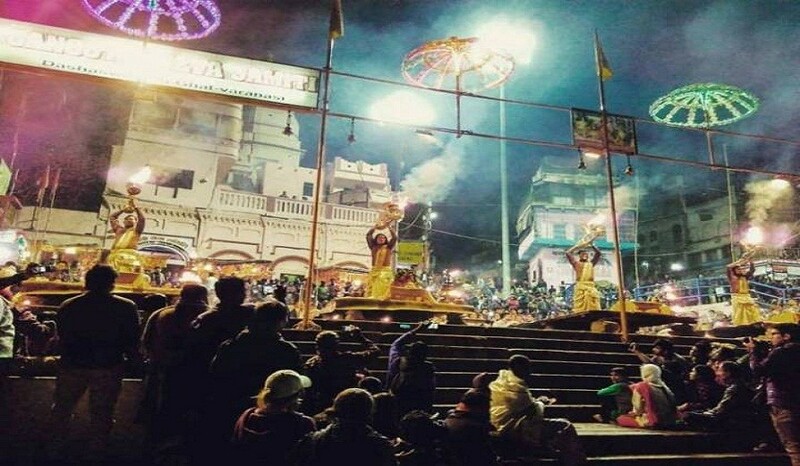 People from all parts of India as well as the world come to Varanasi to visit these temples, making the holy temples of Varanasi amongst the most visited temples in India. 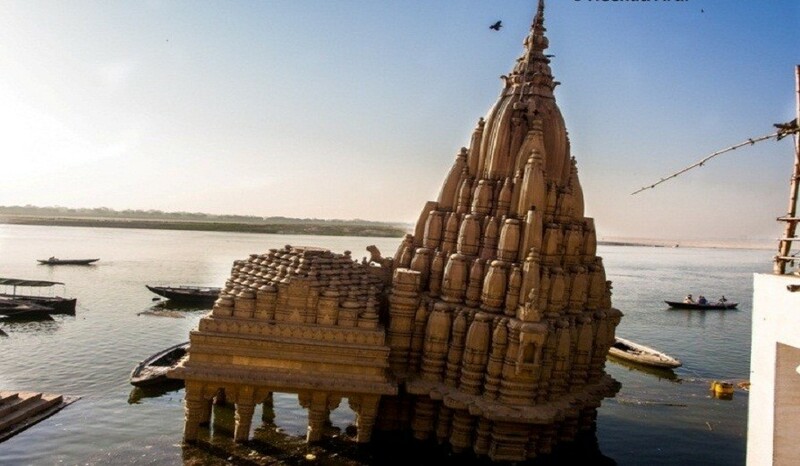 Most of the temples that are located on the Ganga Ghats are old and date back to the medieval period. Morning we leave for Sarnath, located just 12 km from the Hindu holy city of Varanasi, is the site of the deer park where Gautama Buddha first taught the Dharma after his enlightenment. Sarnath is one of four holy Buddhist sites sanctioned by the Buddha himself for pilgrimage. Sarnath is calm and serene away from the madding crowd, give a quiet visit to Sarnath and you will feel in a completely whole new world! Chaukhandi Stupa is said to be built originally as a terraced temple in 4 th to 6 th century during the Gupta period. Dhameka or Dhamekha Stupa, Lord Buddha delivered the first discourse of his Dhamma and the famous eight-fold path here. Another significant structure at Sarnath is the remains of the Dharmarajika Stupa, just a short distance from the Dhamekh Stupa. According to archaeologists Dharmarajika Stupa contained the bones of the Buddha. 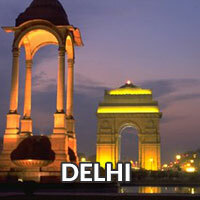 Constructed during Ashoka’s reign. As you walk away from the archaeological ruins, you can see the Sarnath Archaeological Museum . The ASI museum houses a number of artifacts related to Buddhist art as well as many images and sculptures of Hindu Gods recovered during excavations in the region. The Mulagandhakuti Vihara temple, built by the Sri Lankan Mahabodhi Society, is one of the many Buddhist temples in Sarnath and probably the most famous. A few meters away from the Mulagandhakuti Vihara temple is the holy Bodhivriksha(the Bodhi Tree). The Bodhi tree the most sacred tree for Buddhists as Lord Buddha attained enlightenment sitting under this tree only. The Bodhi Tree of Sarnath was planted from a branch taken from the Sri Maha Bodhi tree of Anuradhapura, Sri Lanka. Catch train from Varanasi Junction we need to catch train on 02:00 pm in the afternoon. All Intercity and Intra city transfers & Long distance sightseeing (Varanasi ) By vehicle and fun ride at Cycle Riksha . 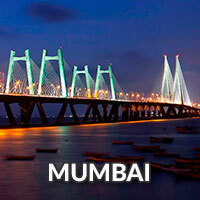 Train tickets (Mumbai – Varanasi – Mumbai) .